PARMINTER REAL ESTATE – Your north shore real estate specialist. A reputation built on honest, hard work since 2005. 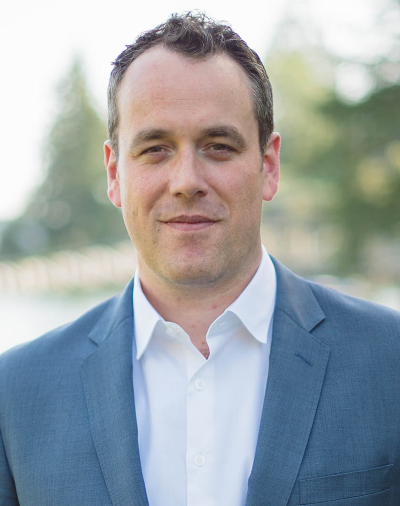 Mike Parminter is a life long North Shore resident with over thirteen years experience as a licensed Realtor. Mike understands the importance of communication, integrity, hard work, and attention to detail. Listening and understanding each clients specific needs is paramount in order to achieve all of your goals in real estate. Guiding you through the process of buying and selling real estate can only be done through years of experience and careful dedication to staying on top of the latest trends in an industry that are constantly evolving. Deciding on the best course to take can certainly seem like a daunting task, but when carefully planned and carried out, it should always be very efficient and rewarding. ”My wife and I worked with Mike Parminter to both sell our apartment and buy a new house. We were both extremely impressed with how hard Mike worked for us, making the whole process as easy as possible for us. We never fully realized how much is involved in the process and are very appreciative we had Mike to guide us through the process. When we had questions, Mike answered them immediately. When we needed to meet with Mike, he was always available. And the most important thing was that Mike was extremely open and honest through the process. We would definitely recommend using Mike and we plan to use him again. ”Mike was great during the whole buying process, making it very easy for us every step of the way. He cared about our needs and was always accommodating with our schedules. Thanks Mike for making our first home buying experience such a great one! ”The service we received from Mike was exceptional! Being first time home buyers, we could not have asked for a better Realtor to guide us through the whole process. Mike's thorough knowledge, attention to detail, patience and honesty made the daunting task of getting into the real estate market an easy and enjoyable experience. We would not hesitate to use his services again, and would recommend him to all our family and friends. ”I have known Mike personally for a number of years and had always admired his honest character, integrity, and work ethic. My wife and I decided to use Mike as our realtor in purchasing our first home and he really exceeded all of our expectations. Mike was extremely dedicated, committed to helping us find the right place for us, and was a great advisor in helping us navigate the process of purchasing a new home. Mike carried himself professionally throughout the entire process and ensured that we were making appropriate assessments when looking at different properties. I would highly recommend using Mike Parminter as your realtor in buying or selling a home. ”I have used Mike to both buy and sell a home and both were great experiences. He is very knowledgeable about the market, highly professional, trustworthy and communicated every step of the process so I also always felt very well-informed. He made me feel comfortable to voice any concerns of mine and educated me to be able to make the best decision for my situation. Regardless of whether you are buying or selling, I would recommend Mike Parminter as your agent. His indepth knowledge of the industry and market, along with his strong work ethic makes him an excellent real-estate agent. ”Mike is one of the best! He found me exactly what I was looking for!... Mike is hard working and gets the job done! I will always use Mike!